I've only seen two episodes, but I will watch the last two because they explore the time periods I've tried to write in (Tudor era) and the era I am currently writing in (Georgian era). It's amazing how much evidence they were able to find through archeology and I think framing the history of an entire country through three little, centrally-located villages is genius. The show was also able to dig through the records (some of them going back to the 1200s), where the names of peasant families are recorded. 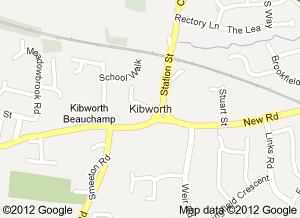 Some of those families continue to live in the Kibworth area today. It's history via a small village and therefore, its ordinary people. Watching this program made me think about my fictional village a little more. You see, it's not enough to imagine a random village in the southwest of England. What's that village like? What's the church called? How many families are on parish poor relief? A lot of this detailed background work isn't necessary to the story and the reader doesn't needs to know all of it. But I know that Bannersley, my fake village, being near Bath, likely had Roman inhabitants at some point. Rupert of the Rhine passed through it on his way to Bristol during the Civil War. The local lord's family has been there since at least Elizabethan times (when they got their title), but probably far longer than that. The North Bath Road passes through the village. There are two mid-size estates and then several plots of houses with gardens and a little land attached. There's a hot spring that snakes in and around the village, clearly related to those that flow in Bath.